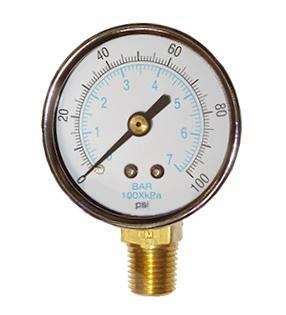 Heavy duty 100 PSI Propane / Gas Pressure Gauge. Shows pressures from 0-100 PSI. Can be mounted on the Red Dragon 567 RC, 567 RD, R-499, R-1584 and similar regulators or tanks. Case diameter is 2 inches.